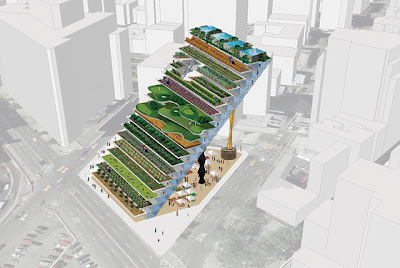 Veering away from pure Vegetated Architecture (a bit), let's hone in on some examples of usable green space - particularly in the realm of sports. 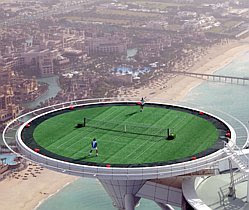 While a tennis match between Agassi and Federer atop the helipad of a Dubai hotel sounds lovely (and a bit dangerous?) 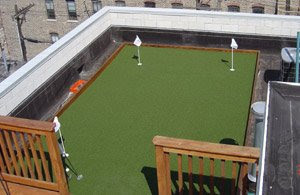 - there's a number of more reasonable approaches to rooftop sport that actually include places for the crowd as well. Here are a few. 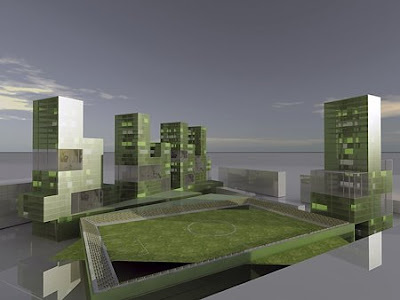 A project with from Jaroslavska, Moscow by Ofis Arhitekti incorporates mixed use with a high-grade football pitch. 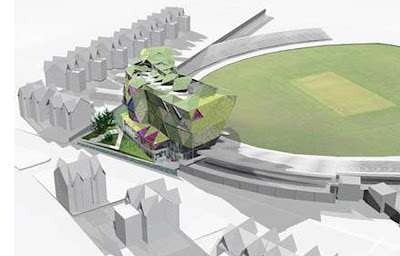 Ok, it's not rooftop, but a fun design anyway from Will Alsop for a London cricket ground, with a ridiculous building, per usual. 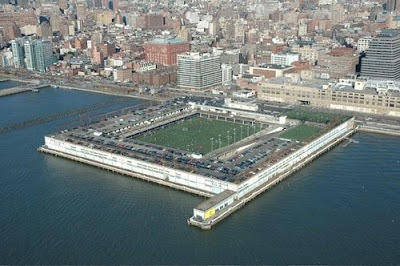 The project I always turn back to when looking for great examples of on-structure sports is the quasi-rooftop waterfront of Pier 40 in NYC that has parking and multiple soccer fields. 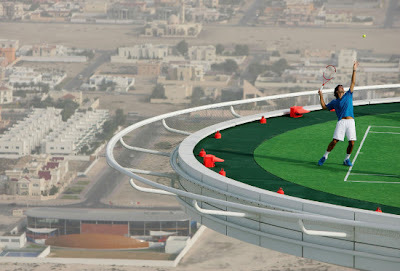 Or a variety of rooftop golf scenarios, with a more encompassing and fictional version (top) from Work AC, previously shown here - and a small-scale synthetic version (bottom). 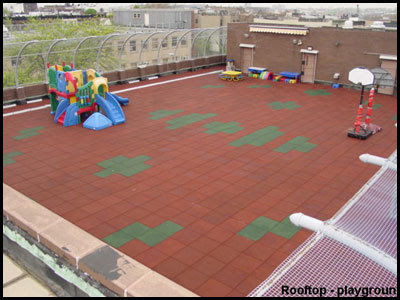 The idea of play can emcompass non-green, capturing usable spaces for sports courts and playgrounds, such as these rooftop playgrounds in NYC, both new (top) and old (bottom). 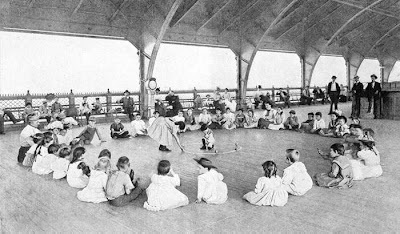 Guess good ideas never get old... get up there and play. Riverbank State Park in Manhattan is a great example of rooftop athletic space. 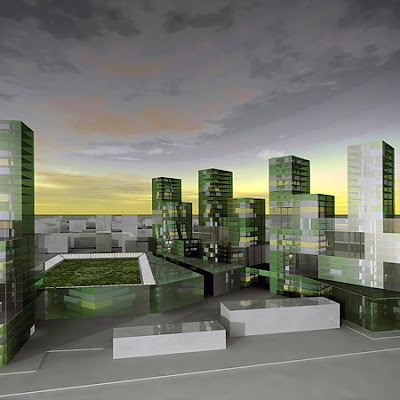 On top of sewage treatment plant there is an olympic pool and track with artificial turf, a carousel designed by community children, and various playground and picnic facilities and green space.